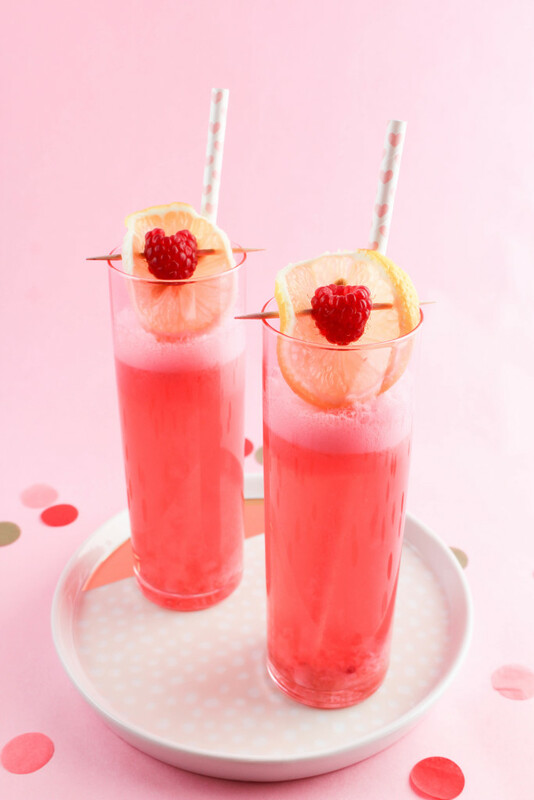 Sharing a recipe for a citrus sidekick cocktail, the perfect cocktail to sip with your girlfriends for “galentine’s day” this year! Valentine’s Day can definitely be one of those days that you dread. A holiday filled with pink, red, and love everywhere. If you don’t happen to have a significant other to share it with, there are plenty of other ways you can celebrate February the 14th that won’t make you loathe the holiday. The idea of “Galentines” day has become very popular over the last few years and I love it! It’s a fun way to celebrate all of the awesome girlfriends in your life and some of us have quite a few that deserve some kudos every once in awhile! 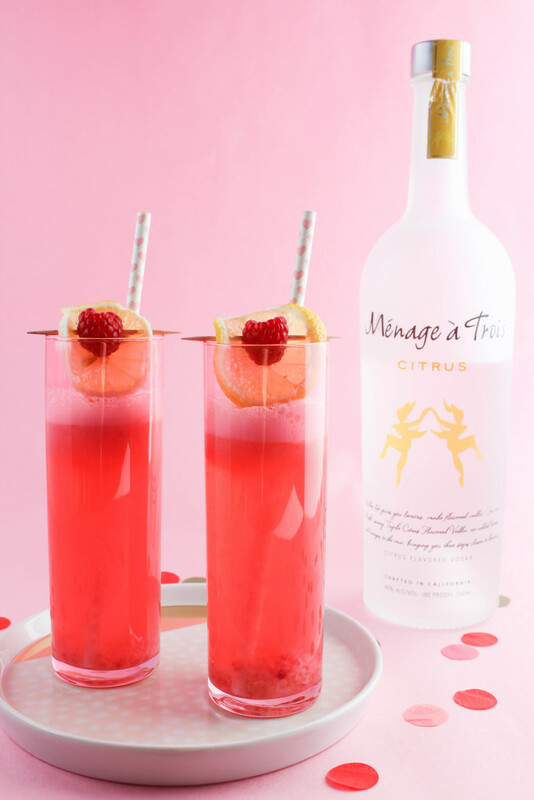 I’ve teamed up with Ménage à Trois Vodka to create a yummy citrus sidekick cocktail that is inspired by all of the awesome “sidekicks” in my life. They are the perfect sip to cheers with this weekend! 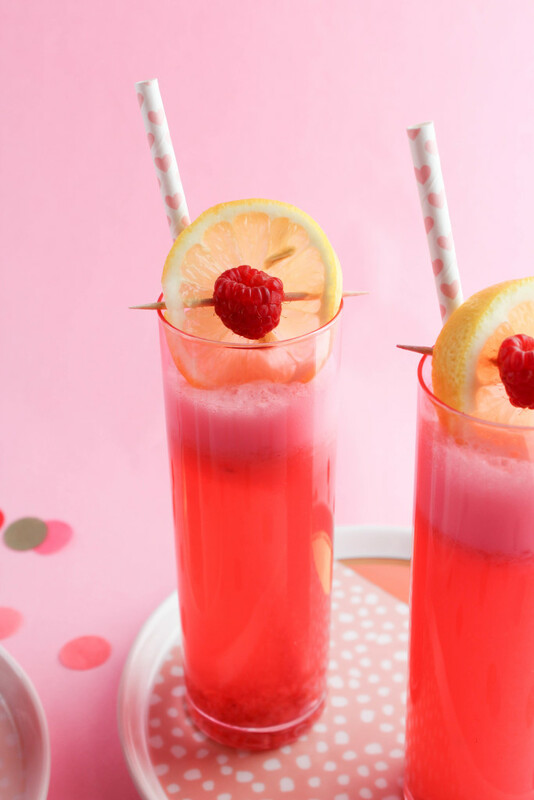 A blend of citrus, fresh raspberries, and topped off with a refreshing splash of club soda. Ready to celebrate with the gals in your life? 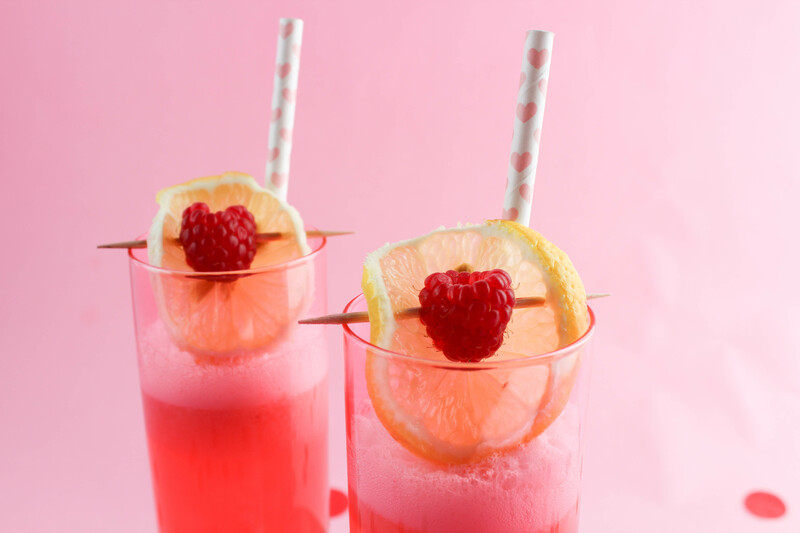 Add the fresh raspberries and the citrus vodka to a shaker. Using a muddler or the back of a spoon, muddle the raspberries into the bottom of the shaker. This will help to release all of that yummy raspberry flavor! Next, add the Chambord liquor, lemon juice, simple syrup and egg white. Add a scoop of ice and shake well. Strain the contents of the shaker into an ice-filled glass. Top off with the club soda, and stir gently. 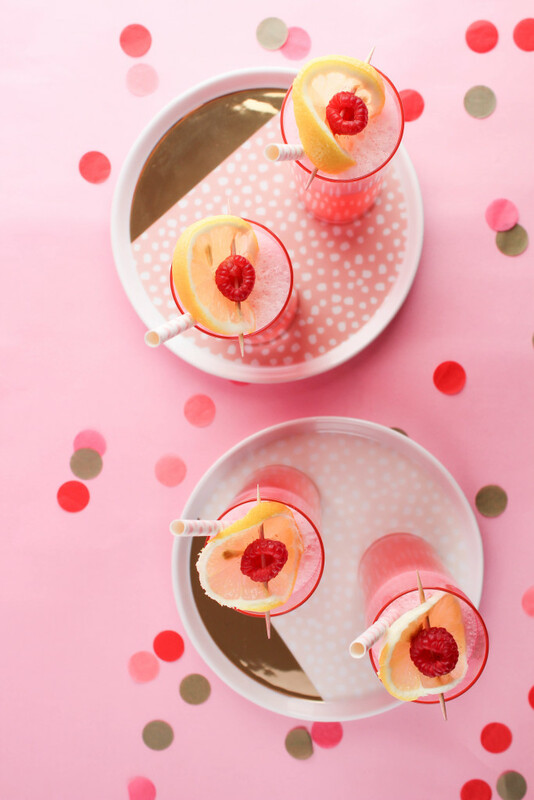 To garnish, place a toothpick skewered with a fresh raspberry and a slice of lemon over the top of the glass. 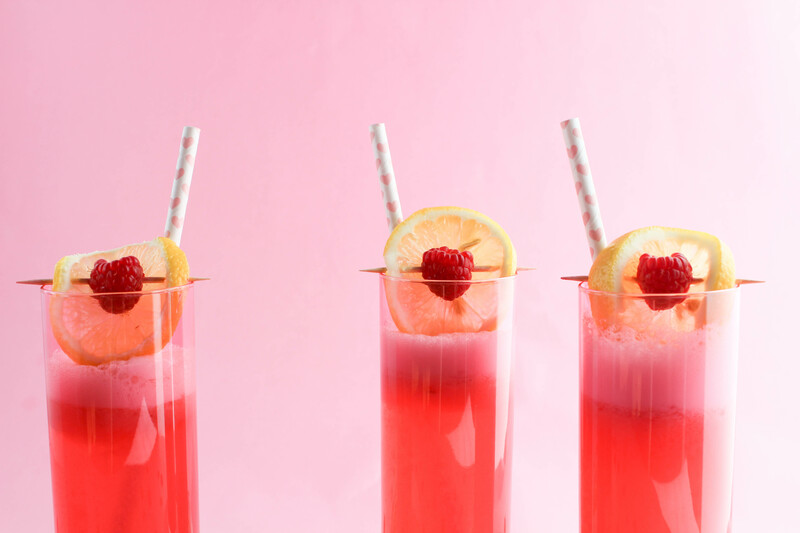 Add a fun straw, sip and enjoy a citrus sidekick cocktail with your besties for “Galentines” Day this year!